The award is given to companies that have achieved innovation in products or services. Shinil Industrial won the award with its voice-recognition electric fan known as SIF-ALPHA14, the first of its kind in Korea. Users can easily operate this electric fan through words without laying their hands on it. When they say “Sunny, respond”, the fan replies “Hi.” Then users give verbal commands to adjust the fan’s power, wind strength, timer and direction. The fan then starts operating, following the commands. The company has showcased amazing technology each year. 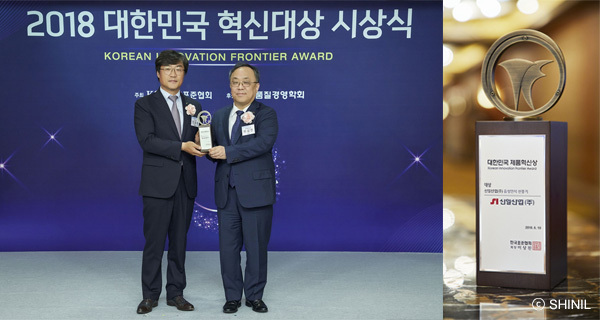 Its voice recognition electric fan, which was released last year, received this year’s Korean Innovation Frontier Award that has a 19-year history. Users can control the fan simply through words, without having to touch anything, while lying on the bed on a tropical night or working in the kitchen. Mr. Kwon explains why the company focuses on the technological innovation of integrating voice recognition into electric fans. The era of the Fourth Industrial Revolution is approaching, with artificial intelligence technology evolving fast. In this situation, we paid attention to the voice recognition technology. As a leader in the electric fan market in Korea, Shinil Industrial has made great efforts to release products featuring new technology. As part of the efforts, the company was able to develop the voice recognition electric fan. People hate to move on hot summer days, and we believed that fans operated by words would enhance consumer convenience. It turned out that consumers were quite satisfied with the products, and we’re proud of that. There is even a saying, “All electric fans lead to Shinil.” As the saying indicates, Shinil Industrial represents Korea’s electric fan history. The company was established in 1959 as a small motor manufacturer. In 1964, it began to develop electric fans, which the nation had previously imported from overseas. The firm produced electric fans based on its outstanding motor technology, and its good-quality products with affordable prices reduced the financial burden of citizens, who had been reluctant to get the high-priced electric fans before. Shinil has since been loved by Korean people as their summer friend. In 1973, it became the first Korean company to export its electric fans to Japan, the U.S. and Southeast Asia. In 1978, its daily production surpassed 10-thousand units. 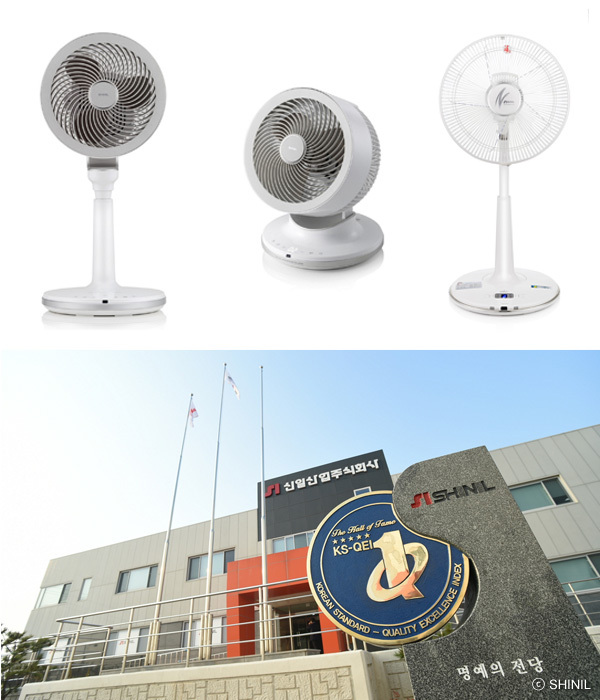 In 1980, the company obtained the KS mark, a state certification, to become the first Korean electric fan maker to do so. It has also topped the Korean Standard Quality Excellence Index in the fan area for 12 consecutive years, maintaining the largest market share in Korea. Mr. Kwon now explains how the company has led the market in Korea, which has a number of world-renowned home electronics makers. The most important part of electric fans is the motor. We use technology-intensive ball bearing motors, although they are hardly necessary for electric fans for family use. But Shinil developed specialized ball bearing motors for such fans and became the first Korean firm to actually apply them to the fans. This type of motor makes less noise and fewer vibrations. We’ve also conducted extensive research and made massive investment in product development. Our R&D centers in Seoul and Cheonan are dedicated to developing independent technology and improving product quality. Another result of our notable technology is four-bladed fans. Electric fans typically have three or five blades. More blades mean softer wind and less noise. But the wind is not very strong. To overcome the shortcoming, we have released four-bladed fans. It may seem to be easy to make fans with four blades, but it requires advanced technology. After researching for a long time, we managed to develop a four-bladed electric fan which is more durable. On the back of the brilliant products using its own technology, the company has retained the top position in the domestic electric fan market for many years. Fourteen percent of all employees at the company are researchers. It comes as little surprise that the company is taking the lead in technological innovation and product performance. The entire manufacturing process, except box packaging in the last stage, is handled manually, reflecting the company’s workmanship that eventually leads to its competitiveness. Mr. Kwon continues to explain. Shinil is never satisfied with Korea’s No.1 title but continues to release innovative products embedded with new technology to meet the needs of consumers. Our “smart touch safety” electric fan is equipped with a special sensor that stops the machine when it is touched by hands. This model is popular with families with little kids since it prevents users from getting hit by the fan blades. Other noticeable products include the “micro gentle breeze” electric fan and the “tornado” fan with double-layered blades, which can spread a cool breeze further. 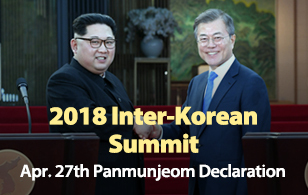 Also, we signed a business agreement with LG Uplus to jointly develop small home appliances featuring the Internet-of-Things, or IoT, technology. As a result, we have released IoT electric fans that can be remotely controlled using smartphones. Shinil feels great responsibility and pressure as the leader of the domestic electric fan market. To secure an overwhelming technological edge and establish its dominance in the market, the company is constantly developing new electric fans. The company has been expanding the scope of electric fans with its solid technology and relentless quality development. This year, it released an IoT electric fan in cooperation with mobile carrier LG Uplus. The new product can be controlled by the smartphone anytime, anywhere, as it is connected to a smartphone application. The company has actively embraced the latest trends, changing the landscape of summer with new electric fan technology. The company’s challenge is moving beyond the fans to expand to other areas. Let’s hear again from Mr. Kwon. Shinil Industrial boasts a 59-year history. Based on its excellent motor technology, the company has been showcasing products in a variety of areas, including electric fans, kitchen appliances, electronics related to the environment and even pet appliances. We started as an electric fan maker, but we’ll try our best to grow into a distinguished global appliances manufacturer.